With so many historic and authentic Chinese communities across North America, there’s no need to cross the Pacific to get a taste of China’s cultural mosaic. According to TravelAgeWest, here are some of the best Chinatowns in North America …. and I tend to agree. 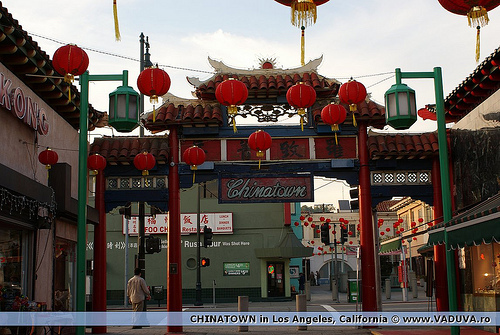 Los Angeles Chinatown is actually the city’s second incarnation of the neighborhood. The original Chinatown, founded in the late 1800s, was paved over in the 1930s to make way for Union Station, and the residents and businesses relocated to its current site. 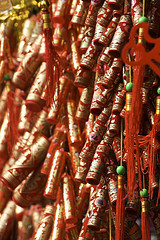 Unique landmarks include the Thien Hau Temple, dedicated to a Taoist goddess of Southern China called Mazu, and Hop Louie’s Pagoda, a restaurant and bar located in Central Plaza, where many celebrations of Chinese festivals take place, including the Lunar New Year Festival and the Mid-Autumn Moon Festival. Like many Chinatowns, traditional arched gateways flank the entrance to the neighborhood. One of its gateways is not an arch but a sculpture of two twin dragons mounted on steel pillars. Visitors can take walking tours of Chinatown and also check out its restaurants and bakeries, some of which have been open since New Chinatown was created in 1938, including the Phoenix Bakery. Manhattan contains the largest population of ethnic Chinese in the New World. 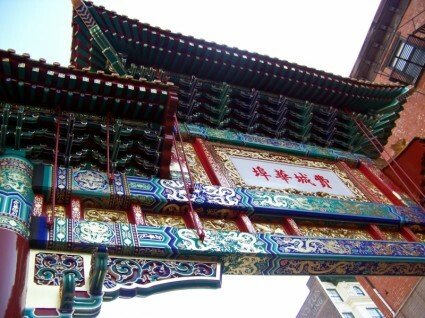 It is also the largest of the seven Chinatowns scattered throughout New York City. Located next to Little Italy, Manhattan’s Chinatown offers great Chinese cuisine, and also contains several cultural highlights, including the Museum of Chinese in America, the Chen Dance Center, and the Music From China ensemble. Walking tours are a great way to experience the community, and there are several tours offered that focus on history, food or even martial arts. Don’t miss the Chinatown Ice Cream Factory. According to legend, ice cream was invented in China during the Tang Dynasty. The ice cream makers at this shop follow this legacy, offering both traditional flavors and flavors with an Asian twist, including lychee, black sesame and almond cookie. This is the oldest Chinatown in North America and is still advertised as the largest outside of China. Vancouver’s Chinese community might dispute that claim. It was established in the 1850s in the wake of the California Gold Rush. The chance of finding gold brought immigrants from all over the world, but especially from China, to San Francisco’s port. This neighborhood continues to bustle with a mix of locals and tourists. Known for its distinctive Oriental-style architecture (devised as a way of luring tourists after the original neighborhood burnt down in the 1906 earthquake and fire), this Chinatown offers a breadth of Chinese restaurants, bakeries, and tourist shops. San Francisco is considered the birthplace of several American Chinese food traditions including Chop Suey and Fortune Cookies. www.easternbakery.com) – A traditional Chinese bakery that serves delicious mooncakes year-round. www.rnglounge.com) – salt and pepper Dungeness crab is the house specialty alongside other Chinese seafood dishes. www.empressofchinasf.com) – Gourmet Chinese cuisine plus a rooftop garden that offers fantastic views of the city. Vancouver has not only the largest Chinatown in Canada, it is also one of the cleanest in North America. The best way to explore Vancouver’s Chinatown is by wandering through its streets, whether on a guided tour or just a leisurely stroll. Some of Vancouver Chinatown’s unique sights are its public monuments, artwork, and gardens. Its China Gate was donated by the People’s Republic of China after it was displayed in the 1986 World Exposition hosted by Vancouver. The Century’s Winds of Change mural displays the story of the Chinese in Canada since their initial immigration in the 1850s. An abacus sculpture on the edge of Chinatown depicts this ancient Chinese tool still used by some in place of a calculator. A must-visit includes Dr. Sun Yat-Sen Classical Chinese Garden, which is modeled after Ming Dynasty gardens, and is the first of its kind to be built outside of China. Odder attractions include the Sam Kee building, known for being the world’s narrowest building at only six feet wide, and the Jimi Hendrix Shrine, formerly a restaurant owned by the famous musician’s grandmother, whom he visited as a child. 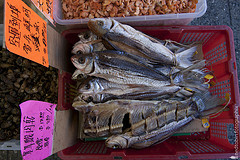 Attending the Chinatown Night Market is a great way to experience Chinese food and culture. Better still, take the SkyTrain out to Richmond (a 15-minute ride) and choose to attend one or both of the region’s gi-normous Night Markets, widely considered to be the best in the world outside of China. I’ve just written an article about the Aging Baby Boomer generation and how it is reshaping travel expectations from hotels revamping bathrooms to include safety rails to adventure experiences that will satiate the thirst that these globe-trotters-in-their-youth have, now that they have the time and means to travel more comfortably. Here are some sobering thoughts …. Consumer consumption tends to decline with age, with one exception – health care. In essence, we’re taking about an unprecedented demographic transformation that’s creating a vast array of specialty products for tech savvy aging population. While marketers are turning to Gen X-ers and Y-ers, the Boomers are still a powerful force, especially as they’re coming into an abundance of disposable income and are active enough to enjoy it. since many boomer women haven’t saved enough for their retirement, watch for them to travel together, live together and bargain for better deals together. Here are a few more freebies to enjoy when visiting these cities ….. If only these walls could talk ….. they’d probably talk of walls. Not to mention suspected arson, air raids, Nazi zeal and ignominious decay – the German Parliament building has seen it all since its completion in 1894. But since the fall of Berlin’s infamous city-slicing concrete barrier, the Reichstag has risen as dramatically as the eagle on the German flag. Architect Norman Foster masterminded a glorious resurrection, icing the ‘new’ edifice with a gleaming glass-and-steel cupola, commanding brilliant Berlin views. Best of all? A tour of all this history including access to the all-seeing dome itself – is free. 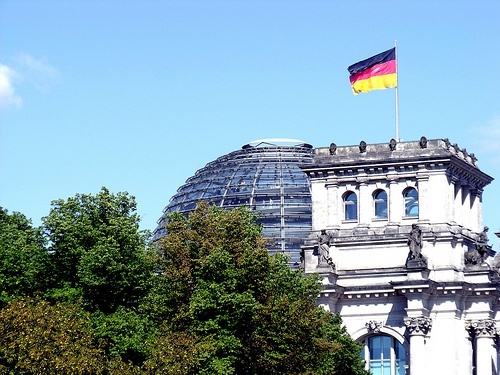 Reichstag tours must be booked in advance; send your preferred time and date to besucherdienst@bundestag.de. It can be tough to get your head around Tokyo; it’s the most populous city in the world, a seething megapolis of more than 30 million people. Get some perspective by looking down on it from 202 meters up – for free. 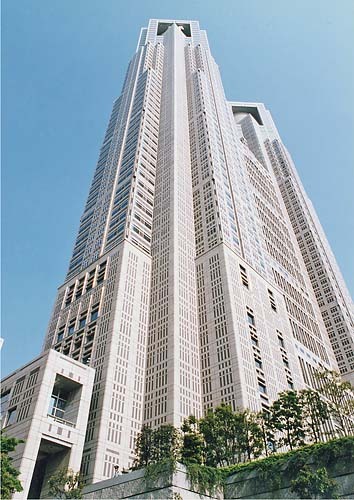 The observatory of the Metropolitan Government Building looms amid high-rise Shinjuku, the district for gadget-shopping and bar-hopping (Shinjuku’s “Golden Gai” is a tumble-down shantytown of more than 200 bars). Ascend the lift to the 45th floor of the North Observatory to see the urban chaos below and, on a clear day, distant Mt. Fuji making a stand for mother nature. A Tube ticket might cost a small fortune in the British capital, but it’s amazing how much there is to do for nowt. Some of the world’s best museums – such as the Natural History, the Victoria & Albert and the British – show off their incredible collectins for nothing. 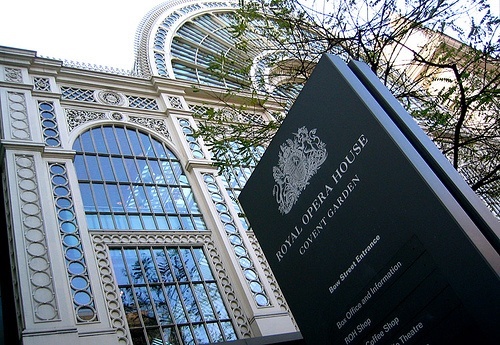 But for an even grader spectacle (and a glimpse of a world traditionally reserved for those with bigger budgets) head to Covent Garden’s Royal Operat House on a Monday lunchtime. This classical theatre, completed in 1858, runs special recitals, allowing cheapskates to hear top pianists tinkle and baritones bellow without paying a penny. Some tickets can be reserved online nine days before a concert; some are released from 10am on the day. Cruises usually cost a packet. OK, this only lasts 25 minutes, and there’s no quoits or cocktail lounge (though there is a bar selling bear). But it doesn’t cost a cent. 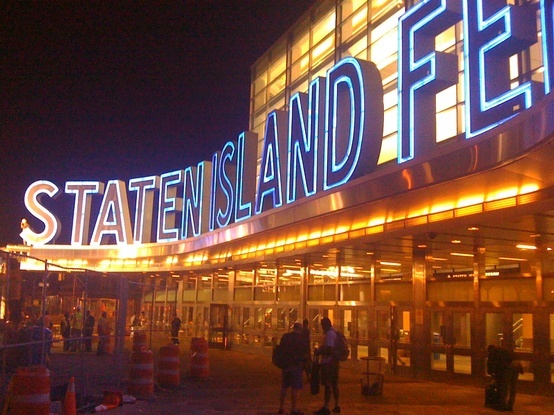 Ferries have connected Staten Island and lower Manhattan since the 18th century. Today’s tangerine-bright boats have become NYC icons. One, the Spirit of America, is part-made of steel salvaged from the Twin Towers. Although the World Trade Centre is now missing, the view of the New York skyline – shrinking as you pitch across the bay and looming large as you return – is still world class. Ferries run 24 hours daily, from South Ferry at Battery Park. See www.siferry.com.